It’s difficult to imagine a more exciting cast for Trier’s debut, notably one of Huppert’s trio of exciting 2015 titles and headlining Eisenberg and Gabriel Byrne (recently starring in Costa-Gavras’ Capital, as well as alongside Charlotte Rampling in I, Anna and Emmanuelle Devos in Just a Sigh). In an effort to explain the criteria used to create our list of Top 100 Most Anticipated Foreign Films of 2015, we must first explain what we consider to be foreign. We’ve included film projects that are in the English language, either from foreign auteurs making their first foray into Anglo-Saxon territory, or those that already speak it, such as Australians, Canadians, and our friends from the United Kingdom. But we’ve also included projects that are international co-productions, films being funded through sources outside of the United States, all technically foreign bodies within the American film industry. As we know, this film is director Joachim Trier’s English-language debut and is being financed by a long list of international players, including the Norwegian Film Institute. 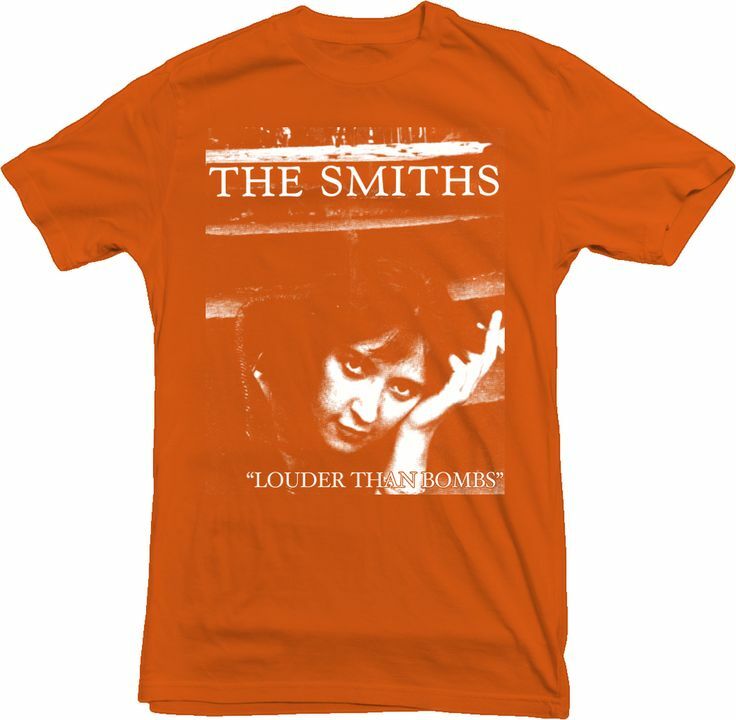 So, it seems appropriate that Louder Than Bombs made the list. That it made the top 3 of this list is what is so exciting! 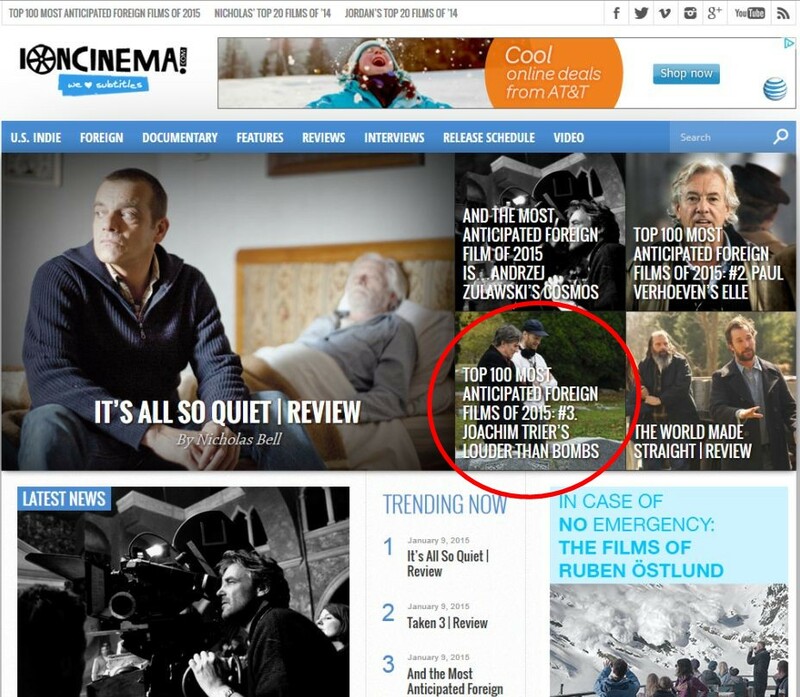 Homepages change frequently, so I took a screenshot of the IonCinema homepage on January 9. You can see that Louder Than Bombs was headlined that day. Yay! DazedDigital, a new online source to me, is also anticipating Louder Than Bombs. Their report, Ten Filmmakers To Watch in 2015, has Joachim Trier at the #1 spot! Not much is known about Trier’s English language debut Louder Than Bombs, only that it has a fairly amazing cast – including Jesse Eisenberg, Gabriel Byrne, Isabelle Huppert, David Strathairn and Amy Ryan – and, presumably, that it has an incredible script. Plot details are vague, but we do know that Bombs centres around a war photographer’s secrets, and involves a Rashomon style structure. Whatever, as Lars Von Trier is threatening to give up movie-making for good now he’s gone teetotal, it’s nice to have another Trier to get excited about. And finally, The Playlist has been anticipating the film since 2012! Lots of good background in this article (The Smiths? Elizabeth Smart? Interesting! ), so give it a read as you continue to anticipate Gabriel Byrne, Isabelle Huppert, and Jesse Eisenberg in Joachim Trier’s Louder Than Bombs, opening in September, 2015. 2015 is shaping up to be a banner year for Mr. Byrne ! He will no doubt receive more recognition for his consistently outstanding work. Louder than Bombs is selected to participate in the main competition at Cannes Film Festival 2015!